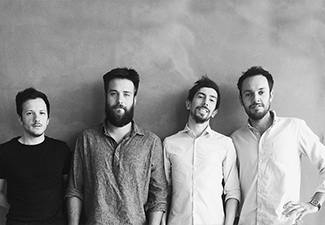 CLAB was founded in 2013 by Nicola Bedin (Vicenza|1984) , Andrea Castellani (Verona|1984), Matteo Fiorini (Mantova|1986), Paolo Rigodanzo (Vicenza|1984). The architectural lab identifies itself by its heterogeneous approach to the field of architecture, as a fusion of different cultural and formative backgrounds. CLAB works on different scale, from infrastructure, to buildings, to objects and back "from the spoon to the town". The "lab-inspiration" comes from experiences all over the world, which help us to wide our vision and improve our architectural background.